Female fronted traditional Hard Rock/ Heavy Metal that you have been craving, has arrived! The highly anticipated follow up to our "Without a Trace" album, has arrived! Female fronted Traditional Hard Rock/ Heavy Metal that music lovers have been waiting for is finally here. Inspired by the styles of Judas Priest, Metallica, Megadeth, Iron Maiden, Black Sabbath, etc., ORBYNOT is a band that deserves your attention. 14 ripping tracks, with 2 of them being classic covers, will have you playing the album over and over again. 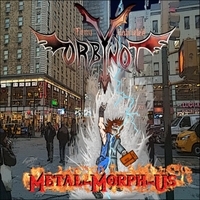 Metal-Morph-Us is the 3rd length full album and there's no sign of ORBYNOT slowing down anytime soon!